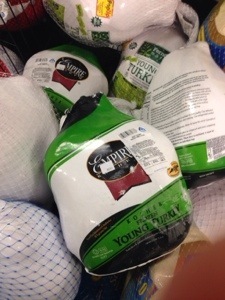 The Albertson’s on the West side of Great Falls has a few kosher turkeys for sale! Price is $3.99/lb and they seem to have 3-4 in stock. Posted on December 1, 2013, in 2013, December, Ram's Horn, Recipe and tagged great falls, kosher, local, meat, turkeys. Bookmark the permalink. Leave a comment.